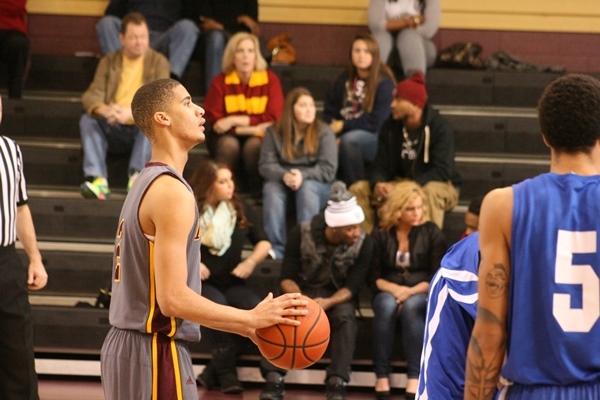 USC Salk defeats Spartanburg Methodist 80-71. The USC Salkehatchie Indians knew that today’s game vs Spartanburg Methodist College would be a battle and the game lived up to it’s hype. The Pioneers came out early and took it to the Indians going up by as many of 13 in the opening minutes. The Indians would fight back and take a 39-32 lead into the locker room. “We knew they would come out and throw everything out at us early. I told my guys today would be like a heavy weight fight, we would have to take the blows early and fight back,” said USC Salkehatchie Travis Garrett. In the second half, the Indians extended their to 21-points leading 66-45 with 5:59 left. The Pioneers true to form were not done and fought back to within 76-67 with 31.7 seconds left. In the end, the Indians would hold on for a 80-71 victory. “We just have to learn to hold on to the lead, we had Denmark Tech by 20 something and almost let it slip away and we did the same thing again today. I just hope the guys are learning that you can’t take any lead for granted, you have to play hard the entire game. The way we played today at times was great but we were flat other times. We will need to come out tomorrow and play flawless to beat Brunswick,” said Garrett. The Indians are now 14-7 on the season and 2-0 in Region X play. The Indians are at HOME tomorrow against Brunswick CC at 3:00 pm. Brunswick is 3-1 in Region X play.